Description: It allows you to synchronise, backup and secure your data. It features four synchronisation modes: copy, update, mirror and equalise. 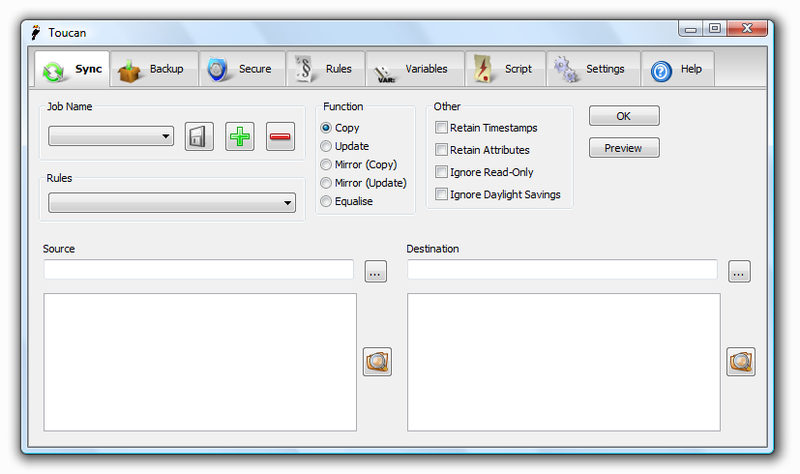 It creates backups using ZIP or 7-Zip formats. Encryption is based on the Blowfish algorithm.